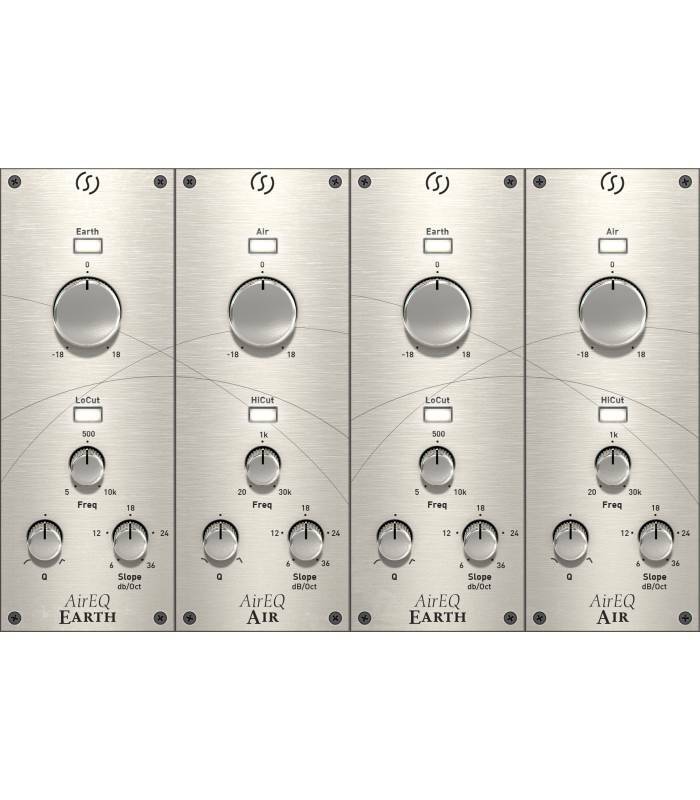 The Air & Earth modules bring the musicality of AirEQ within the Slate Digital Virtual Mix Rack. 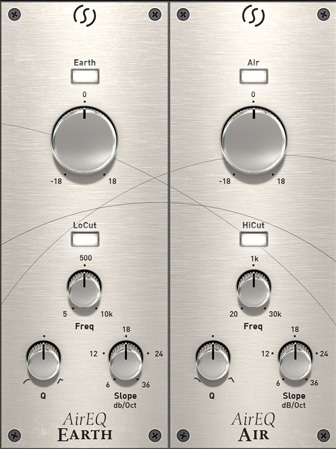 Additionally to the Air and Earth filters, those modules feature resonant Low Pass and High Pass filter, with slopes from 6dB to 36dB/oct. Air is a new type of filter that helps you to restore or to add brightness to the sound, while always remaining natural. 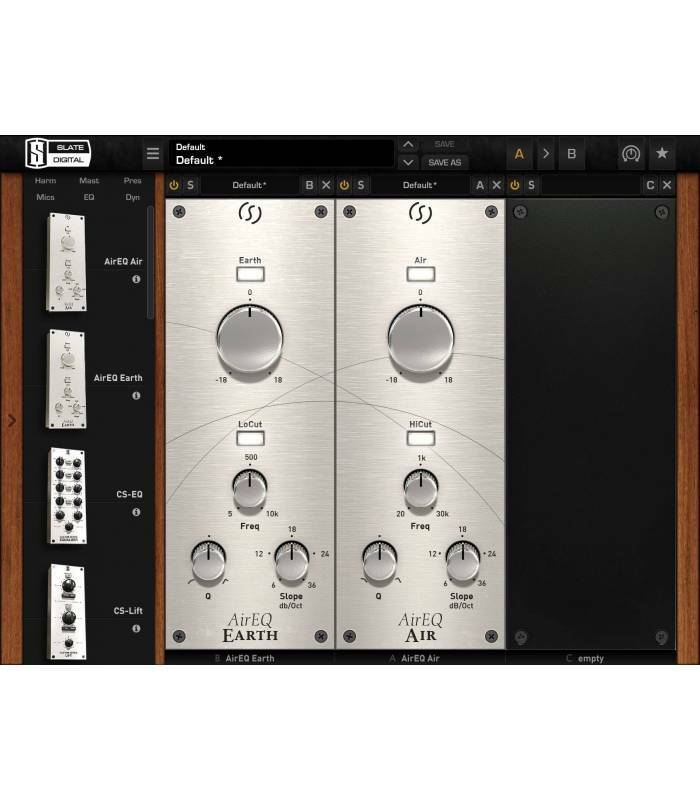 It allows to gently add high frequencies, without adding harshness or unpleasant digital artifacts. 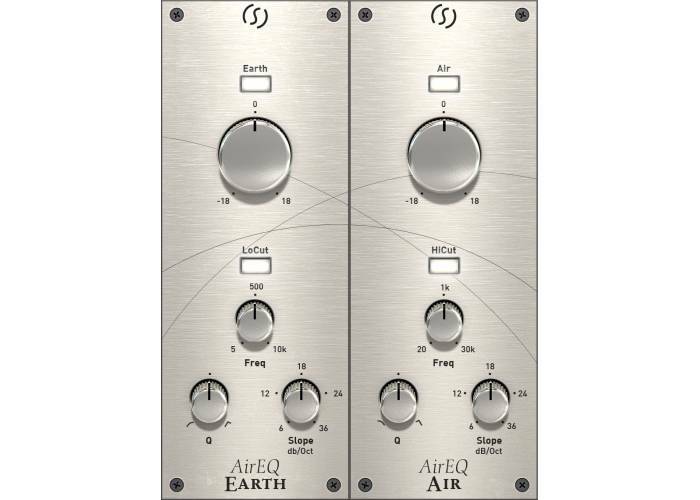 The smoothness of the Air allows you to bring an instrument to the front of a mix, add a subtle brilliance to a sound or to make a vocal track breathe, simply by increasing Air. The HiCut is useful for attenuating frequencies above the cutoff frequency. 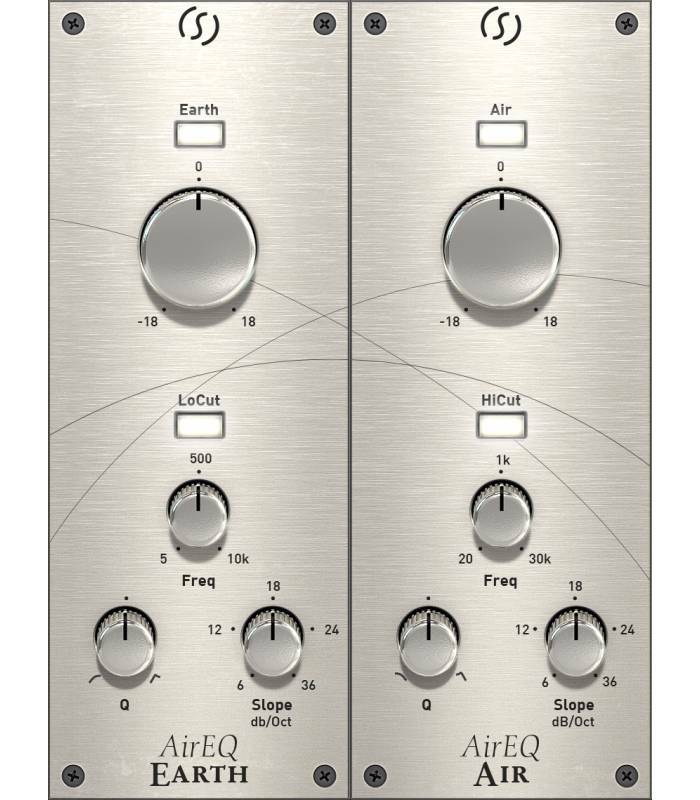 Unlike many digital equalizers, the Air module’s HiCut filter is perfectly matched to an analog filter curve. This is very important in order to achieve a natural attenuation in the high frequencies. The HiCut Slope goes from 6dB/oct to 36dB/oct, allowing a broad range of uses, with a musical adjustement of the resonance. The HiCut and the Air can be used in combination: boosting the Air opens the sound, and cutting the ultra highs with the HiCut might be useful to tame the sound while keeping the openness. Earth brings deep and solid sub-lows. It can be described as an “adjustable transformer.” Inspired by real transformer behavior, it is now accessible with an easy, one-knob adjustment. 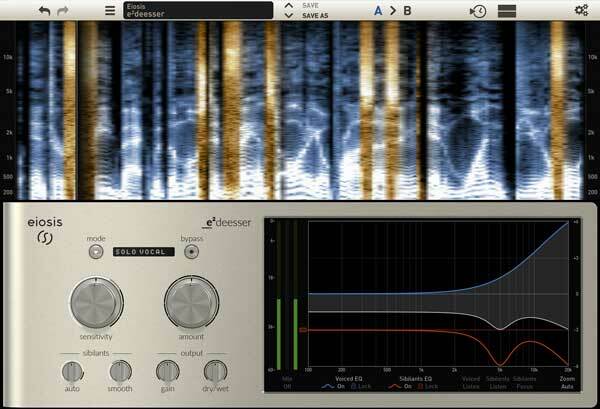 The result is always a tight and precise bass sound, without being muddy or boomy. Being all linear in amplitude, the Earth phase is very specific: it is flatter than a regular filter, especially on its maximum setting. 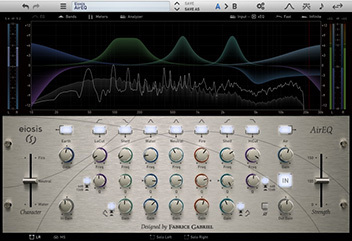 It is very useful to quickly add some consistent sub-lows to tracks like kick drums and bass. However, it can be useful in many other situations, like sound effects, or any situation when you need to make a track deeper or more powerful. The LowCut is useful for attenuating frequencies below the cutoff frequency. With its adjustable resonance and slopes from 6dB/oct to 36dB/oct, it is useful in many situations, from gentle sub removal to drastic kick enhancements with the highest resonance setting. Using the Earth at its max setting, the LoCut is useful to bring down the bass, the same way that would be done with a passive EQ boost/cut controls. Request a 15 day Trial for the Air & Earth modules!